Make this September unforgettable. From 15 – 20 Sep, receive a complimentary Moments Silver Bracelet with Heart Clasp or Silver Bangle when you spend a min. of $250 nett at the nearest PANDORA Store. *Place your reservations from 15 to 17 September 2015, payments and collections from 18 to 20 September 2015. 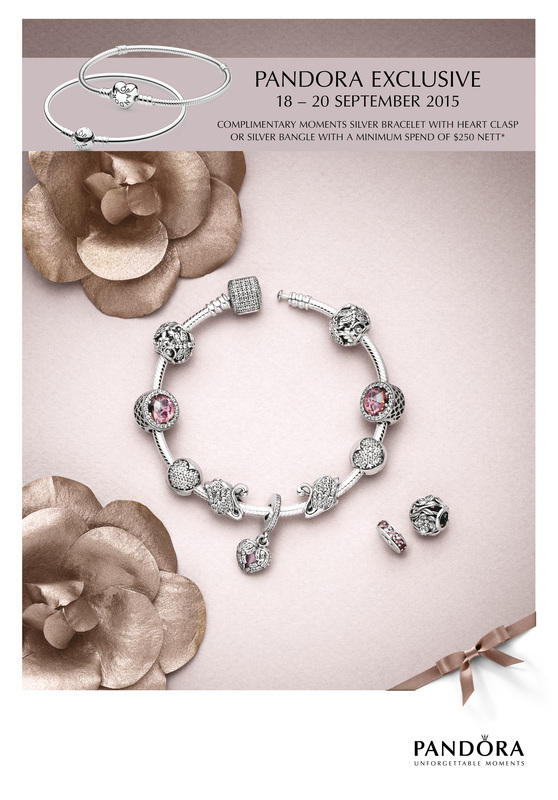 Complimentary items are selected bracelet (SKU 590719) and bangle (SKU 590713). Promotion is limited to 1 bracelet redemption per customer, while stocks last. Terms and conditions apply. For more details, please visit the nearest PANDORA store.